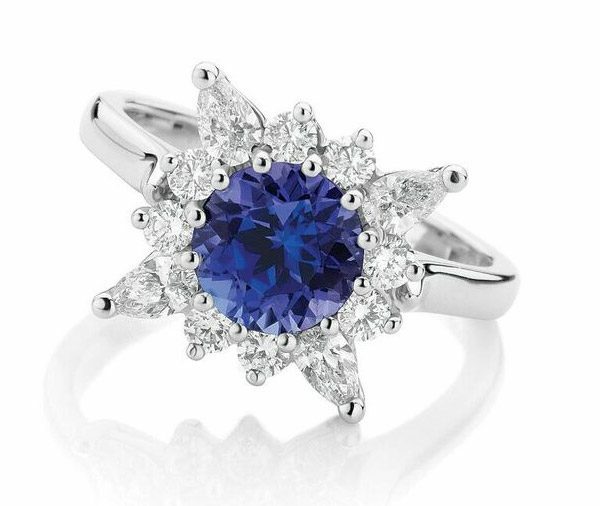 A multi-claw set Tanzanite is surrounded by a cluster of claw set, pear cut and round brilliant cut diamonds within a wire basket setting on a flat rounded upswept band. 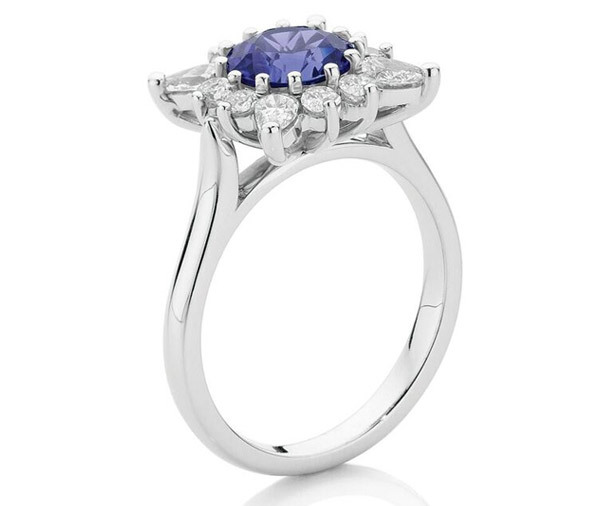 Model image features 1.15ct Tanzanite. Available in platinum, 18ct white, yellow or rose gold or any other precious metal combination.